Prosecutors in Switzerland have formally indicted former SNC-Lavalin executive Riadh Ben Aissa on allegations he laundered vast sums of money tied to at least $139 million in mysterious payments by the company, according to Swiss public broadcaster RTS. CBC News has also learned RCMP officials are working with Swiss police and have travelled to Switzerland to assist in the joint investigation. Citing multiple confidential sources in Switzerland and North Africa, RTS investigative reporter Yves Steiner told CBC News that Swiss authorities have tracked money flowing from the Canadian engineering conglomerate to Swiss bank accounts registered to companies in the British Virgin Islands. Some of the funds then went directly into Swiss bank accounts controlled by Ben Aïssa, Steiner said his sources told him, and Swiss officials are working with the RCMP to get to the bottom of the mystery. "Swiss investigators are interested in this network of companies and accounts, transfers that were allegedly authorized by Riadh Ben Aissa to obtain contracts in Tunisia and, especially, Libya," RTS reported Sunday. Please send any tips to CBC's John Nicol and Dave Seglins. The RCMP has not commented on these latest reports but has previously refused to answer questions, citing the ongoing investigation. Ben Aissa was arrested in Switzerland last spring and remains in jail on suspicion of money laundering and corruption of public officials related to his business dealings in North Africa. Prosecutors have also charged Geneva-based lawyer Roland Kaufmann with money laundering and corruption. According to RTS, authorities accuse him of helping Ben Aissa to set up two companies, Dinova and Duvel Securities, registered in the British Virgin Islands. The broadcaster reports investigators are probing millions of dollars in payments from SNC-Lavalin to those companies’ Swiss bank accounts dating back as early as 2001. An expert from the Organisation for Economic Co-operation and Development cited by Swiss broadcaster RTS criticized Canada's inability to clamp down on errant multinational businesses. Mark Pieth, chairman of the OECD's working group on bribery in international business, said: "At the OECD, we had criticized Canada for its weak legislation and its way of combating corruption in big enterprises." But Pieth said the ongoing investigation into SNC-Lavalin "is a positive sign." CBC News placed multiple calls to the lone directors listed on the company registration records in the BVI for Dinova and Duvel Securities, but neither director returned calls. Swiss authorities are still trying to sort out the exact movements of the $139 million, Steiner said, and have interviewed several SNC-Lavalin officials. CBC News has confirmed that some interviews were completed in April, and that Sami Bebawi, Ben Aïssa's predecessor as head of international construction projects, flew to Switzerland last week to talk to Swiss prosecutors. "I have many, many sources who say, 'OK, there is a system of corruption, there is a system of money laundering — or could be used for this kind of thing at least — in fact based here in Geneva,'" Steiner told CBC News. The RTS report that investigators are tracking $130 million Swiss francs ($139 million Cdn) only deepens the mystery around SNC-Lavalin payments to procure construction projects given the company’s own announcement in March that audits had discovered only $56 million in improper payments. Neither Ben Aïssa's Canadian nor his Swiss lawyer would comment on these latest allegations. Reached Saturday, Canadian lawyer Michael Edelson did say, however, that Ben Aissa is not pleased with a recently launched civil suit by his brother against SNC. On Nov. 5, orthopedic trauma specialist Rafik Benaissa filed a $5-million lawsuit against SNC-Lavalin accusing the company of using his brother as a scapegoat and damaging his family’s name. "SNC-Lavalin knowingly allowed and condoned the use of millions of dollars to fund lobbyists in the Middle East to get lucrative contracts with major leaders of some countries, particularly in Libya," the suit claims. None of its allegations have been tested in court. The company declined CBC’s request for an interview with its CEO and would not answer whether Riadh Ben Aissa could have singlehandedly approved and concealed the $139 million in payments. "We continue to collaborate in all investigations with authorities as they are pursued," SNC-Lavalin spokesperson Leslie Quinton said in an emailed statement. "Because these investigations are ongoing and we continue to cooperate, unfortunately there is nothing further that we are able to add at this time, except to reiterate that we hope that if anyone is found to have committed any wrongdoing, they are brought to justice," she said. The ultimate purpose of the $139 million in SNC-Lavalin payments remains unclear. 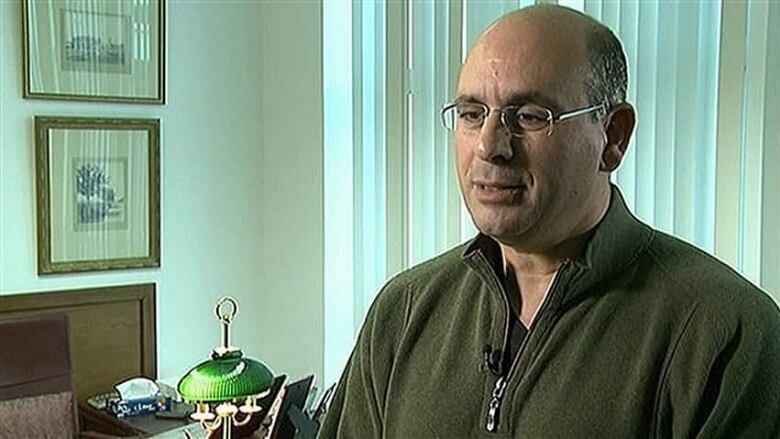 However, an SNC insider — the same person who anonymously accused Ben Aissa of wrongdoing in a December 2011 "poison pen" letter to company directors and executives — told CBC News "more has to be done" within the company. "There is no way that kind of money is moved without approvals" from people still within the company, the source said. "Employees who detested the rule of Ben Aissa are sympathetic to Ben Aïssa's [brother's] lawsuit that claims that the management knew and encouraged his acts. "This is not a story of foreign criminals, but a sad story of Canadian greed." 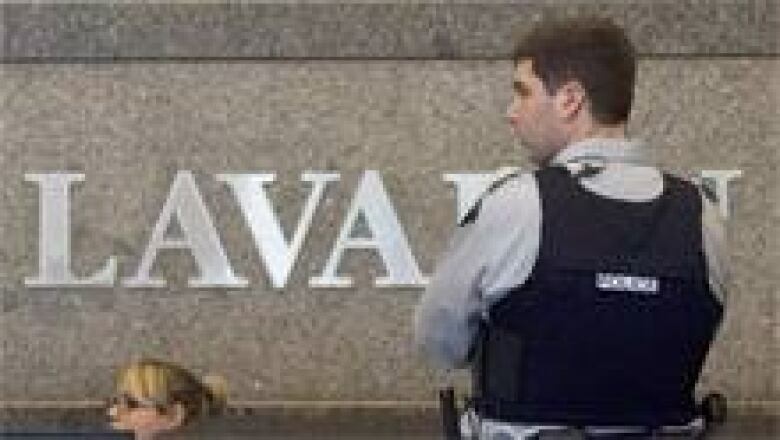 Scandal first engulfed the Montreal-based engineering and construction giant SNC-Lavalin following the November 2011 arrest in Mexico City of Cyndy Vanier. The Ontario mediator is facing trial there on accusations she masterminded a plot to smuggle deposed Libyan dictator Moammar Gadhafi’s son Saadi and members of his family to a life in hiding in Mexico. Vanier told CBC News in an exclusive interview inside prison in Chetumal, Mexico, that she was hired by SNC-Lavalin last year to charter planes to fly staff into North Africa on their travel to and from Libya. She said she met with then SNC executive vice-president Riadh Ben Aissa in Montreal and signed agreements with his vice-president finance Stéphane Roy. Vanier maintained her work was strictly to help the company arrange transport and support for employees in and out of Libya once the civil war that toppled the Gadhafis subsided. Then, after the demise of the Gadhafi regime —which had provided billions in contracts to SNC-Lavalin — SNC employees and insiders began levelling allegations of criminal activity tied to the company’s Libyan business dealings, which had been under the direction of Ben Aissa. One insider sent a damning "poison pen" letter to SNC-Lavalin executives as well as members of the board of directors in December 2011 levelling a string of unproven allegations and accusing Ben Aissa of funnelling tens of millions of dollars out of the company. Ben Aissa and Roy were forced to resign from the company on Feb. 9, 2012. Then CEO Pierre Duhaime was forced to resign on March 26, 2012, when SNC revealed that external auditors had discovered problems with payments of $56 million by the company.